This website will provide resources for parents and students on how media is different today. Topics found on this page are designed to help kids to be physically and physiologically safe. 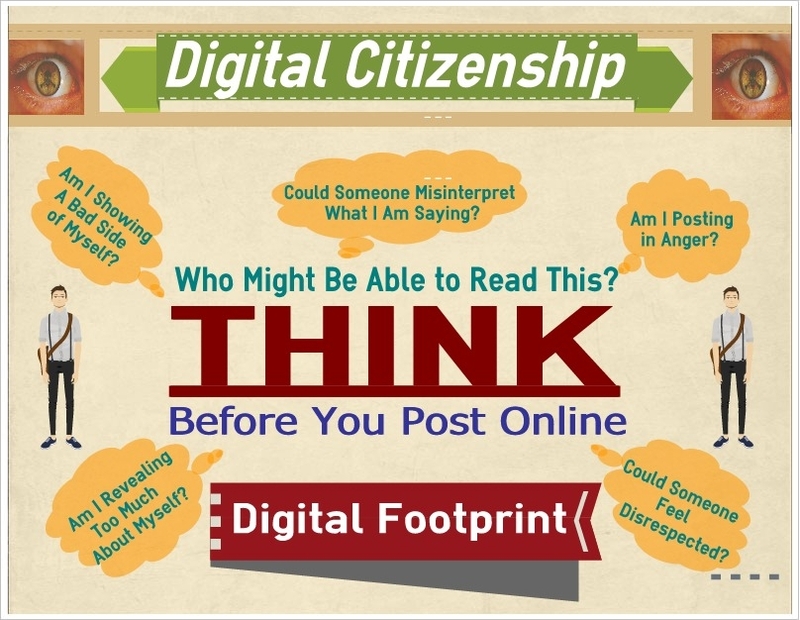 Digital Citizenship is also about being responsible in maintaining a reputable digital footprint. Some portions of this transcript has been pulled from Common Sense Media and rewritten for the purpose presentation design. This is a generation where the youth are forming behavior patterns needing to be recognized and properly supported by knowledgeable adults. This is also a generation of youth who crave recognition through social interaction and are at times rewarded for boundary pushing behavior. This is the virtual social world where networked behavior becomes an experience of trial and sometimes unfortunate errors. This is the millennial generation where youth can readily become at risk. The risk is in the exploitation of social networks as youth are easily taken in by inappropriate actions who become separated from real consequences. These actions form individual behavior patterns. The behavior patterns lacking in contributions to others who are involved in the social network. To reduce the risk of forming inappropriate behavior on social networks is to help students learn important digital literacy skills. These are skills which need to be taught. These are also skills which are not well defined by the previous generation who are now the parents of the millennial learners, who have now become the social networkers. This is a generation who are in need of adult assistance in helping them form an understanding of digital citizenship. The support is about the formation and understanding of appropriate use of digital media as students are mentored in digital citizenship. This is a time when responsible adults become involved in defining for our youth the norms of appropriate, responsible behavior with regard to media use. Digital citizenship is about helping students learn valuable ways to use social networks, how to provide constructive feedback and build groups of people with common interests to enhance appropriately focused behavior. These are the digital citizenship skills the millennial learner will need when they enter the workforce. And because they spend so much of that time ‘media multitasking’ (using more than one medium at a time), they actually manage to pack a total of 10 hours and 45 minutes (10:45) worth of media content into those 7½ hours. 2 This generation of students have become digitally immersed and no longer make a distinction between the “real” world and the “virtual” one. The alarming factor about monitoring students use of digital media is that only about three in ten young people say they have rules about how much time they can spend using media devices.